Craig Gallagher is currently President and CEO of GFH Enterprises, Inc. the parent company of GFH Construction, SDVOSB Group, and Gallagher Family Homes. GFH Construction is concentrating their efforts in residential construction, disaster relief, mold remediation, and one of the most important areas, FEMA Compliant House Raising. Craig Gallagher, President of GFH Construction, is a FEMA Certified Disaster Analyst. 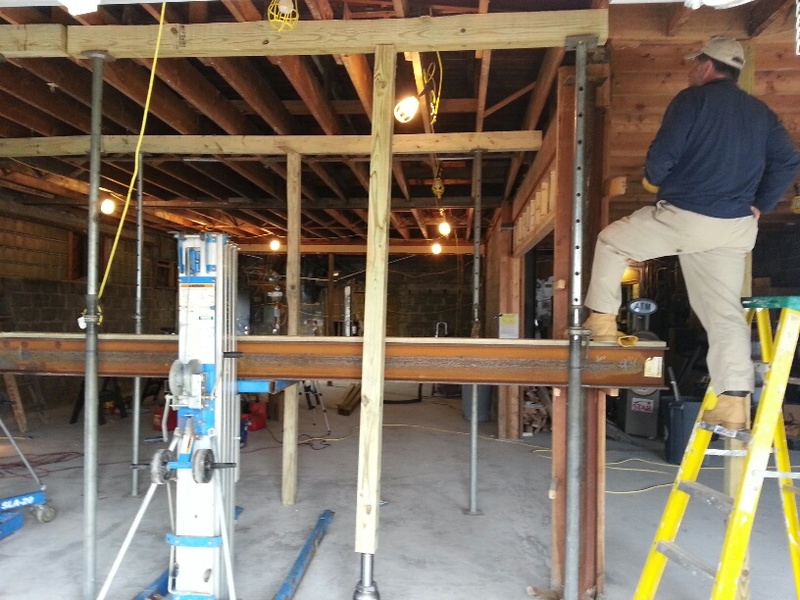 SInce Hurricane Sandy struck in October of 2012 GFH Construction has been able to help owners in Lavallette, Seaside Heights, Ortley Beach, Brick, Manasquan, Mantoloking, Toms River and other hard hit communities in New Jersey rebuild their homes and business. Crag Gallagher has put together a team of experienced professionals to preform the required worked needed for homes to be able to be lived in again such as mold remediation and disaster relief. This is just the first step in the complex process of rebuilding these homes. Under the direction of Craig, his team is now moving forward by raising homes in areas FEMA has required. As a FEMA Compliant House Raising company GFH Construction can determine the best construction procedure for homeowner to follow. And as a FEMA Certified Disaster Analyst, Craig can guide them through the complex FEMA regulations. As an experienced contractor with over 3000 homes built, Craig can build from plans he has designed or custom build homes for his clients. SDVOSB Group is a government and commercial contracting company with over $25 million in awarded projects. Governments projects completed are at Fort Campbell, Fort Jackson, Fort Bragg, Fort Stewart, and Fort Benning. Current and future projects are at Norfolk Vaval Base, Fort Campbell, Fort Jackson, and Fort Bragg. As a Service Disable Veteran, Craig Gallagher is very proud to be part of the construction of the New Orlando VA Hospital and completing work at the James A. Haley VA Hospital in Tampa. Commercial residential projects are located in Brandon, Orlando, Tampa, and Sarasota, Florida. Gallagher Family Homes is an awarding winning Florida home builder established by Craig Gallagher to provide clients custom homes at track home pricing. Craig brings an impressive combination of entrepreneurial ingenuity and inspiring leadership to his work. He has received significant recognition for his part in the foundation and leadership of a prominent Florida Home Builder., and Xecutive Custom Homes. With over 3,000 homes completed, it was particularly gratifying for him to be a Featured Builder on ABC’s Extreme Makeover and being able to contribute to the special needs of a selected Florida family. Craig has received many awards for his humanitarian contributions, design excellence and energy efficient building. In 2005, the city of St. Petersburg, Florida, declared May 9th as “Craig Gallagher Day” to honor his leadership in uniting the building community, and the company received a citation from Governor Bush declaring them the “Preeminent Builder in West Central Florida.” Last year alone, he accepted fifteen awards in three Florida counties. A true leader in his field as well as in the community, He has been featured on three hours of prime time network television and his career achievements were featured as the cover story in the May, 2007 issue of American Executive magazine.